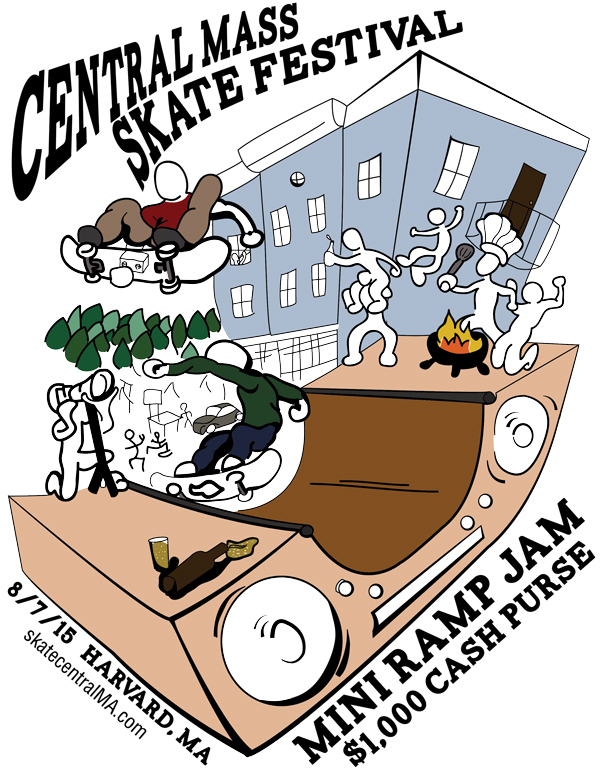 Central Mass Skate Festival returns to Harvard, Massachusetts this year for its 6th annual iteration August 7th through the 9th, 2015. Like a fine wine, the event gets better with age, and this summer will be no exception. With over 400 expected competitors spanning 3 days and 4 venues, there is a ton of fun to be had by all. All skill levels and riding styles are welcome. – 5′ x 16′ x 32′ premium mini ramp. – Open riding, jam format contest & best trick. – Rider check-in for all disciplines – check in early to guarantee your free event t-shirt and other swag! – DJ & live announcing. 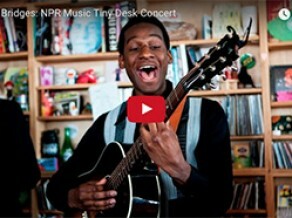 – BBQ food & drink for purchase from the Harvard General Store. – Classes: Pro, Am, Junior (15 & under), Women’s. – Heats of 6, top 3 advance, single elimination. – Eliminated racers can continue taking shuttled runs (space- and time-permitting). – Mini ramp rideable all day to those registered. – After-party at Billiards Café in Ayer, MA. Live DJs, $5 cover – presented by MIDS & Narragansett Beer. – Classes: Open, Junior (15 & under), Women’s, Hardwheel, Ramps/Rails, Big Air. – Big table kicker, small funbox, wedge ramp, kicker to flat, kicker to bank, polejam, rainbow rail, flat bar, grind box, slappy curb and more! – BBQ food for purchase from Harvard General Store. – May 7, 2015, 8:00 PM EDT via http://skatecentralMA.com/registration. Free MIDS shirts for the first 5 registrants. – Priority Registration is open to event sponsors’ team riders until the beginning of Open Registration. Downhill: $75 – Includes free t-shirt (first 300 to check in). 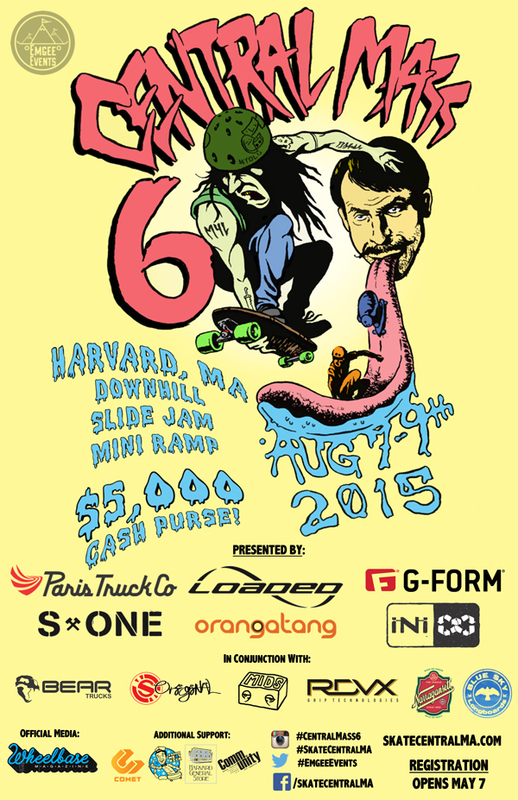 Slide Jam: $45 – Includes free event t-shirt (first 300 to check in). Sponsors: Our sponsors deserve your recognition and patronage for their gracious support. Without them, this event would not be possible. Show love and keep our industry alive! – Harvard Heroes: Loaded Boards, Orangatang Wheels, iNi Cooperative, Paris Truck Co, and G-Form. 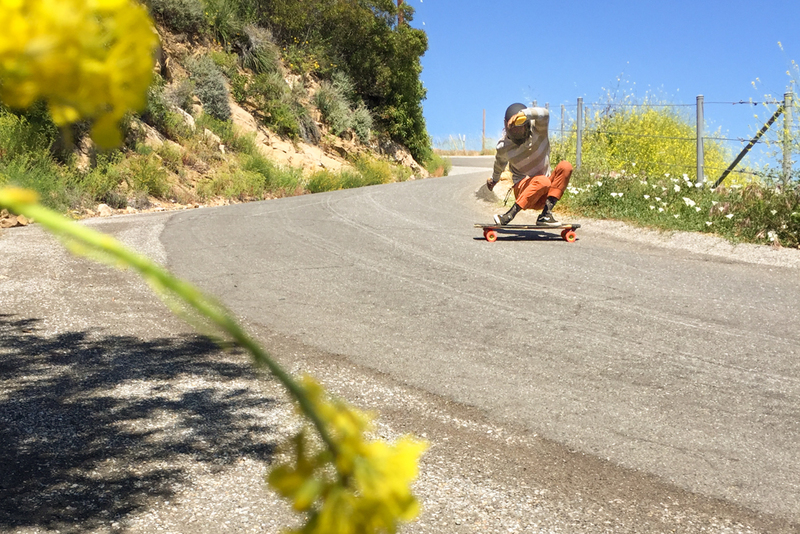 – Minutemen: Bear Trucks, Original Skateboards, RDVX Grip, Blue Sky Longboards, Narragansett Beer, and MIDS. – Pilgrims: Comet Skateboards, #SHOWMEATRICK, Community Bikes & Boards, and Harvard General Store. – Product: ENO Hammocks, Tecnu, and VitaCoco. 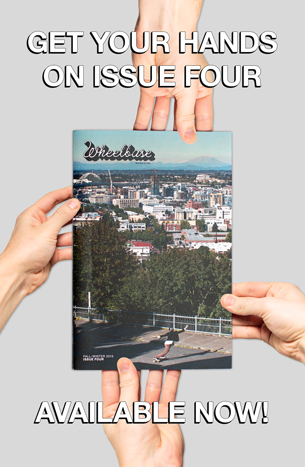 – Wheelbase: We are proud to have Wheelbase Magazine as our Official Media Partner. 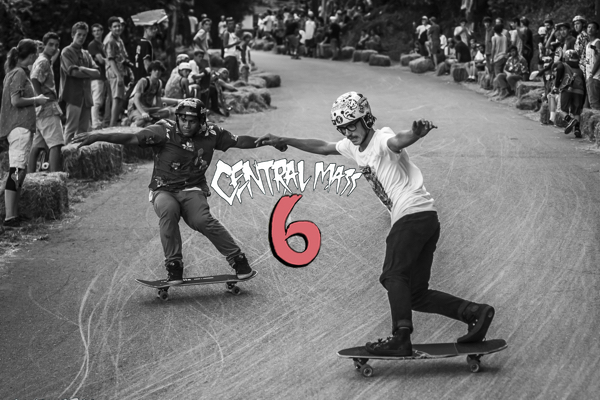 Wheelbase believes in the value of community-based, inclusive, all-discipline skate events, and they have served as our official media partner since Central Mass 4. We are excited to work with them again this summer and to create and share awesome media together. Lodging: Once again, we’ll be enjoying luxurious digs at the Marriott Springhill Inn & Suites in Devens, MA. This is nice and close to the after-party and we’ll have a shuttle to & from the hotel on the night of the party. – Booking page – You must book your room by 7/23 to guarantee your space and receive the group discount! We’ll that is a wrapper! More details and a CM6 hype/stoke/pre-gnar video coming soon!! We are truly looking forward to skating and hanging with all of you East Coasters again this year in Harvard, Mass; and we are majorly excited to meet many new peeps this year at what we believe is the “best event of the East Coast!” Quote it! CM4L!